I feel we all strive for a beautiful closet. But, beyond that, an organized closet is the foundation of this goal. And the truth is, an organized closet makes life a little bit better. 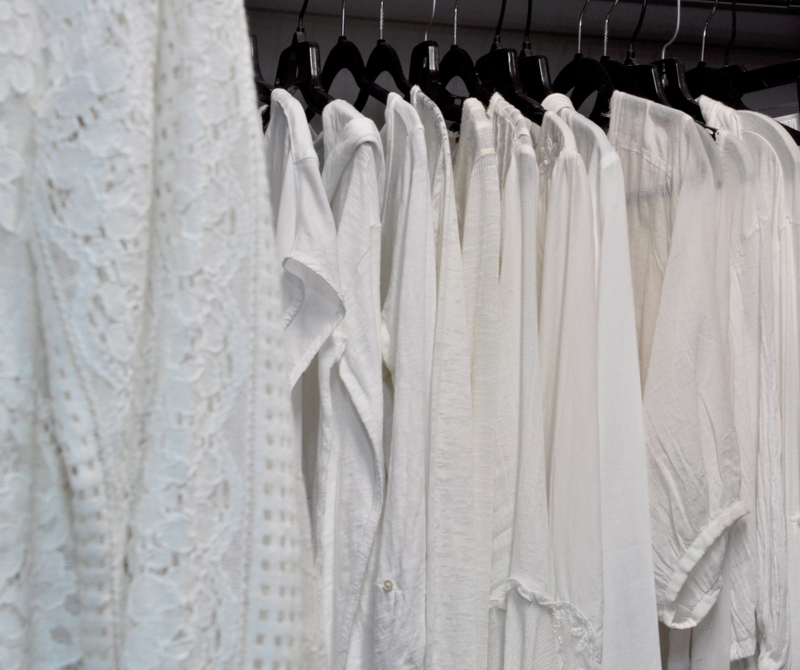 As we prepare for the day, there is something special about getting dressed in an orderly space. So, before you can have a beautiful space, it has to be organized. Before it can be organized, it has to be clean. Here, clean takes on multiple meanings. Not only must is be cleaned as in vacuumed, dusted, etc. It must be regularly purged, or cleaned out, as well. It is Time to Purge…. 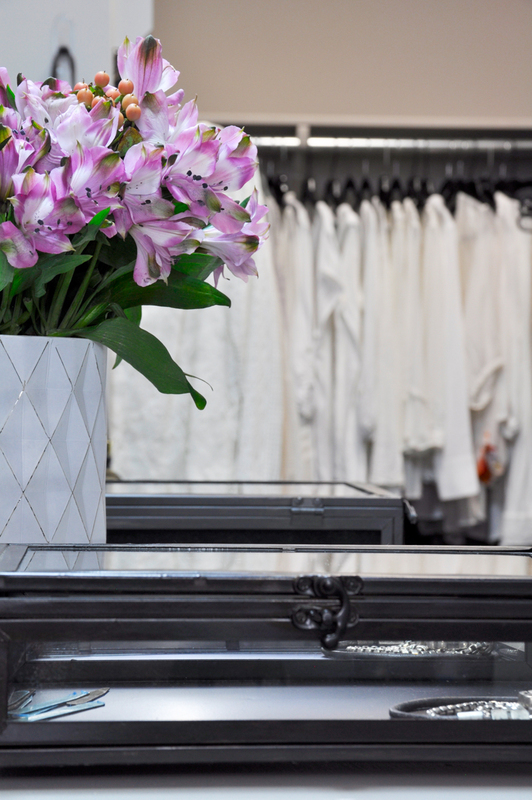 If you want a beautiful closet, the only items that should be in the closet are clothing, shoes, and accessories. Period. Your closet is not meant to be a dumping ground for everything in your home that doesn’t have an assigned place. So first, remove the items that don’t belong here. Next, purge your wardrobe. Even if it seems like a daunting task, just do it. It will be easier if you already have a predetermined destination for the things you decide to remove. This could be a donation center, a relative or friend, or a consignment shop. Just be sure to have a plan so you do not have to stare in awe at the pile of clothing destined for donation. Plus, it feels great to know you are impacting someone else in such a positive manner. Most people have clothing items in their closet that they haven’t worn in years. Case in point, my husband has a leather jacket he purchased in 1990. He won’t get rid of it. Based on the aforementioned, I’m not going to talk endlessly about how to decide what to purge. I would assume you already know. I will say that if you only keep items that you truly love, your closet will be more beautiful. You can find more purging tips here. After the purge it is time to clean. First, dust the shelves and the hangers. I start with a static duster and then follow that up with a damp cloth. At this point, I also think it’s good to clean the light fixture. Finally, you should wipe the baseboards. At this point, you’ve done the hard part. Once you’ve purged, it easier to organize. It is also much easier to keep it that way. The first rule of organizing is the following: everything must have a place. It’s wise to keep a hamper in your closet if you have the space. This keeps the floor from becoming the clothes magnet. I like to use one that has compartments so I can sort my laundry. I also recommend having containers for scarves, sunglasses, fitness accessories, etc. 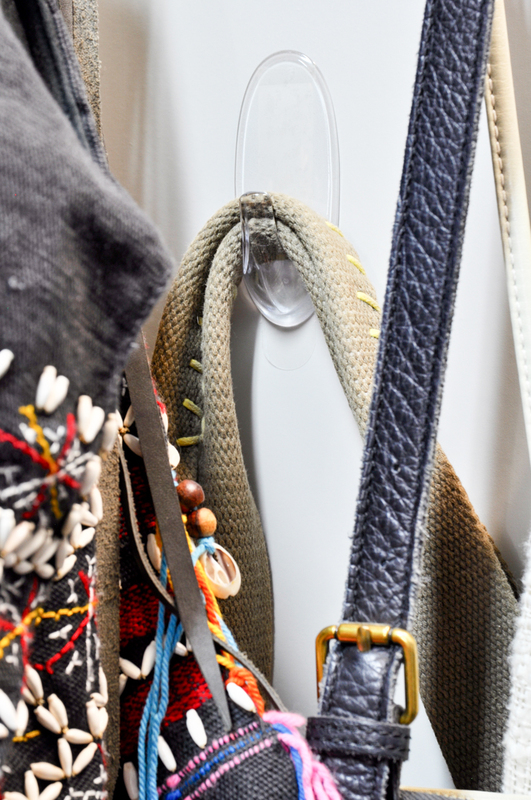 Command hooks are a great solution for hanging your bags. 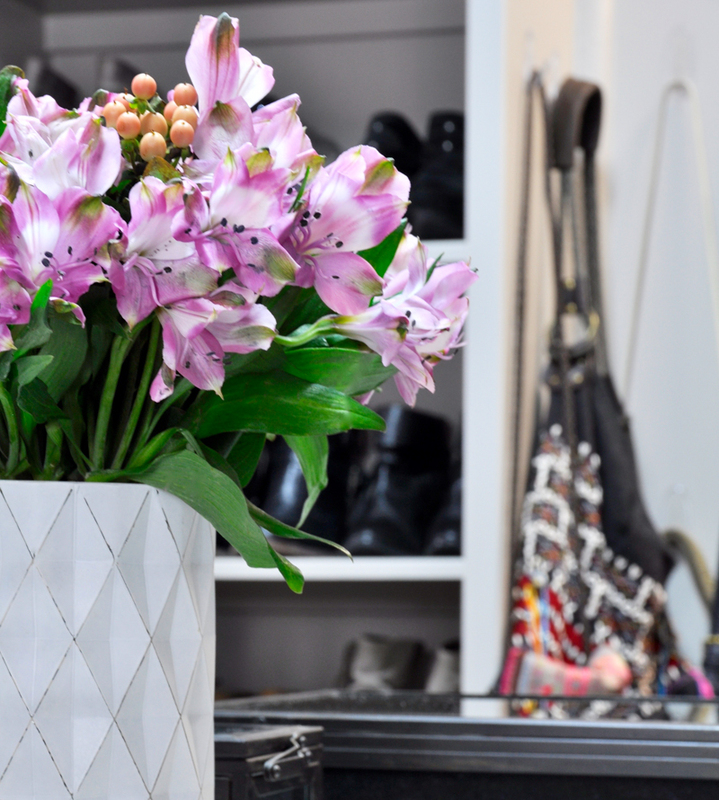 If you can, store your out-of-season items outside of the closet. 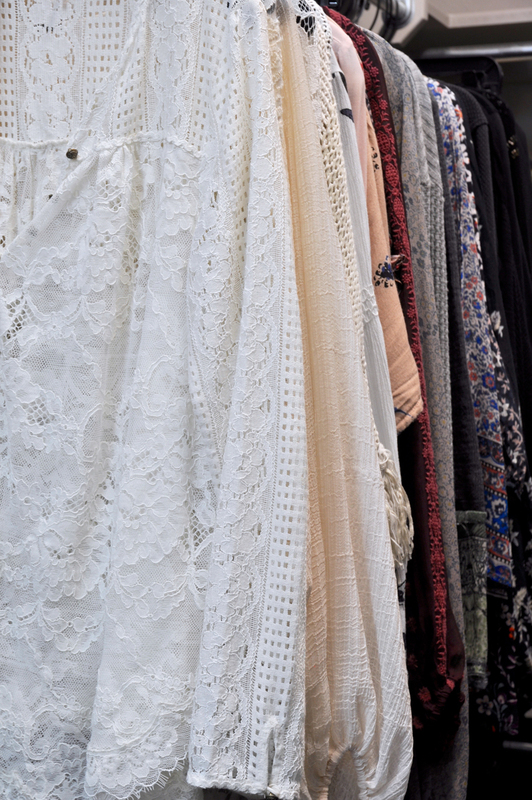 Beyond giving you more space, your closet will look more beautiful with items specifically for the current season. I like to invest in some well designed clothes hangers. They should be matching if at all possible. Mine aren’t all the same, but they are all black. I have some non-slip velvet ones that are thin so they save space. A final tip: I find it quite useful to group your clothes by type. Jeans should get hung with jeans, casual tops with casual tops, etc. Also, hang them up in groups coordinated by color. This will help the space appear larger and more stylish. 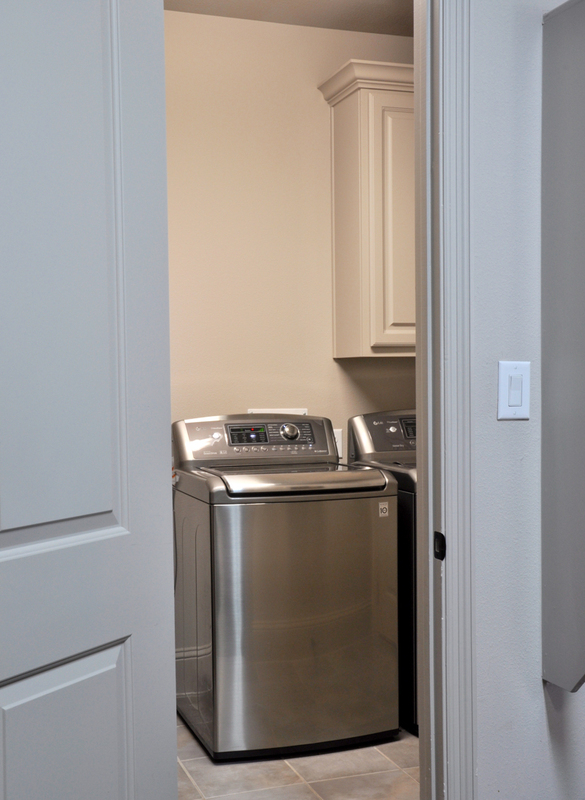 I also should mention that our closet opens into our laundry room which is incredibly convenient and one of my favorite things about this house. Once I learned about this floor plan option, I knew was a must-have. On the other side, it is also connected to our master bathroom. 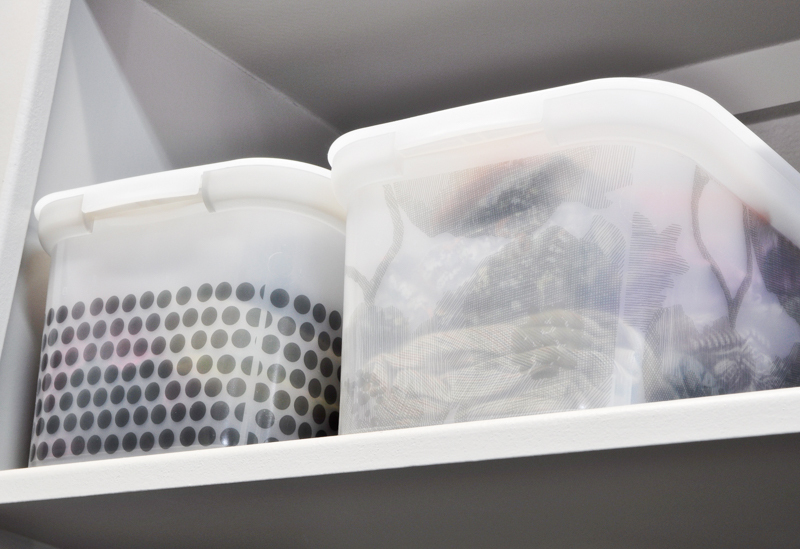 I hope the tips I shared on cleaning and organizing your closet were helpful. Happy cleaning, purging, organizing, and beautifying!! Now, I’d love for you to visit my dear friend Randi at Randi Garrett Design. 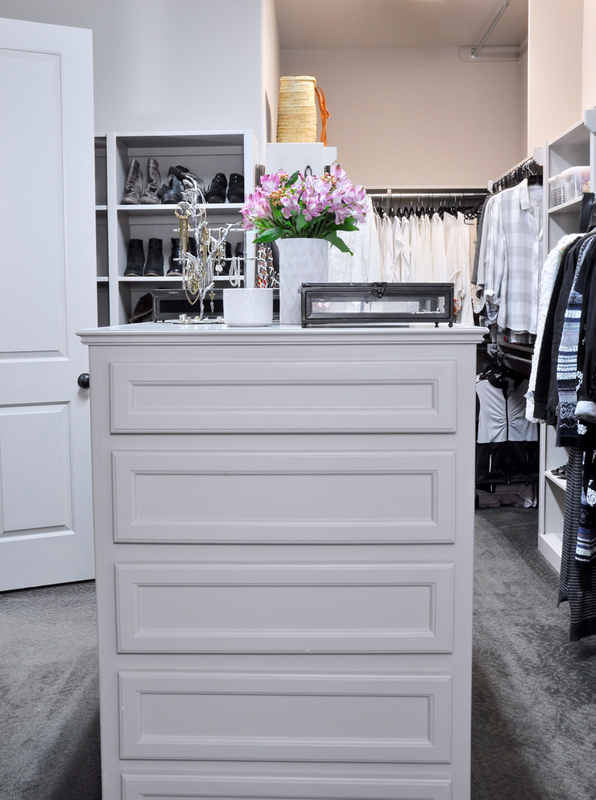 She is sharing her tips on taking your closet from ordinary to extraordinary! Find her post here! Ok, why are you not sharing you closet every day?! IT IS AMAZING! I purged and need to purge again. I made the switch the thin black non-slip hangers a few years ago and it was a game changer. Costco carries them for cheap so it made the transition more manageable. Now that I’ve seen this, I am excited to go get to work!! Thanks so much Kel! I agree, the slender velvet hangers are definitely a game changer. Love them! Jen! This closet is impeccable! And gorgeous! I’m very jealous…I dream of having so much space! Thank you for the great tips – I seriously need to purge and clean, especially having a small space, it gets overwhelming! !